Projectors give you the ability to turn your house into your own personal movie theater. However, they can get extremely pricey. There are plenty of projectors out there that are good quality and will fit into your budget, but finding the right one can be tough. It is also not helpful to see a bunch of confusing terms when looking for the right projector. We are here to help you find the best projectors that actually won’t make you bankrupt, and help you understand what they all do best. Here is a list of some of the best options for cheap projectors depending on what your exact needs are. Because of how portable it is and how big and clear the projected image can get despite the device having such a small size, this is easily the best cheap mini projector out there. This is the ideal Home Theater projector because it takes advantage of darkened rooms to give you the best picture possible like movie theater environments do. It genuinely feels like you have a movie theater in your own home. What makes this one stand above all other cheap HD projectors is its higher contrast ratio, brighter images, and upgraded cooling system that prevents it from overheating. The contrast ratio and brightness add to the visuals just as much as the resolution does. This is definitely the best cheap projector for gaming around because of the image quality and how vibrant the colors look on it. It is also ideal for bringing it to a friend’s house or your dorm for gaming fun. Most projectors that cost less than $50 are pretty bad. However, this one has the visual quality of a more expensive projector and its lamp can last a very long time. Even though this projector is less than $100, it still has a superior visual quality as if it costs more. It has an extra long lamp life and a surprisingly helpful short throw. This is the best one for presentations because it is portable and easy to take to work or school for those presentations. It is bright enough for all to see, and its high contrast ratio helps with seeing whatever information you wish to convey in your presentations. It is hard to find a cheap 4K projector, but this one is actually incredible. It has an extra bright image and a truly massive viewing size. The reason this is the best cheap 3D projector is that with 3D, you also need to pair with great visuals that you would actually enjoy seeing in 3D. This projector offers especially great HD visuals on huge, bright screen. The Artlii Home Theater Projector is easily the best overall projector that is also on the cheaper side. At 4,500 lumens, it is a lot brighter than the average projector, considering most only have around 2,000 lumens. This allows the projected image to be seen in most locations, despite how dark or light the room is. It offers a massive 250 inch projection size, making it more than double the size of even the largest television screens. A screen size that huge is perfect for appreciating its visuals with a 2,000:1 contrast ratio. This projector comes equipped with dual HiFi stereo speakers creating the most ideal audio quality. The projector also offers 25% to 100% screen zooming so you do not need to move the entire device in order to adjust the size of the screen. It is also compatible with all modern video game consoles, TV sticks, smartphones, laptops, DVD players, and blu-ray players. This makes it flexible for just about any kind of use. All this for just $200 is surprising for a projector. However, other projectors may be better at one specific thing that fits your need a lot more. It depends on the primary reason you plan on using a projector for. Other downsides that this device suffers from are a rather loud fan noise and a resolution a little less than HD 1080p. Mini projectors are great for portability. The RAGU Z400 Mini Projector is the best choice for a cheap mini projector. Its lightweight and small build make taking it on the go really easy. Despite the projector’s small size, the size of the image it produces can get up to a whopping 180 inches. Its contrast ratio is 3,000:1. This makes all the colors on the projected image appear more vibrant and stand out. With a throw distance of 5 feet to 16 feet, the projector can produce a crisp and clear image in most typical room sizes. It also has multiple USB and HDMI ports, which makes it usable for just about any purpose. Overall, it is a pretty handy and powerful device for something that it “mini.” The best part is that it is only about $70. With all this being said, the projector could definitely be brighter. It only uses less than 2,000 lumens. Another big problem it has is that the power cord does not connect as well as it should. Because of this, it often disconnects. The TAINIDI Home Theater Projector is the best of its kind. It really does create a movie theater experience in your own home. It offers a resolution of 1080p Full HD. This projector also has a contrast ratio of 2,000:1, making the colors really pop. It also supports a projection size of up to 180 inches. Because of all of this, the overall viewing experience is incredible, just like it is in an actual movie theater. This projector has a throw distance of 4.9 feet to 18.4 feet. This allows you to have the projector set up anywhere within that range to still have a clear image to view. This is handy for those who have smaller living rooms and need to mount the projector on a coffee table or for those looking to set the device up in the back of the room like it is done in a true movie theater. This projector also comes equipped with a newly enhanced cooling and fan system with heat dispersion and noise suppression technology. This prevents the device from overheating and helps suppress obnoxious fan noise. Because of this, the fan is 50% quieter compared to most other projectors, allowing you to enjoy your movies without having to struggle to listen over annoying whooshing noises of the fan. This is ultimately pretty good for only $190. Like with every great projector, there are some no-so-great qualities to the TAINIDI Home Theater Video Projector. The projected image could definitely be brighter. You need a very dim or dark room to really see the picture. This is annoying if you planned on multitasking during a movie and require the use of more light. The menu can also be a challenge to use. It is not very efficient. Ideally, you would just be able to press play and watch the movie. However, with this projector, you have to scroll through confusing menus just to do so It does not really affect the viewing experience, but it is still an annoyance. HD, otherwise known as high definition refers to the resolution of a screen, or the amount of pixels that can be seen on screen at a time. HD is 1920x1080p. In other words, 2,073,600 pixels can be seen on the screen of an HD device. This is the standard resolution because of how great it makes the visual quality look. Due to HD being the standard for resolution, there are an awful lot of HD projectors out there. That being said, the VANKYO Leisure 510 Full HD Movie Projector is the best one. The VANKYO Leisure 510 HD Movie Projector uses 3,800 lumens, which is extraordinarily bright. A brightness like this will help you to see the projected image better and will be better for your eyes since they will strain less to see the light. The contrast ratio of the projector is 3,000:1. In other words, the whites on the projected image are 3,000 times brighter than the blacks. This makes the colors appear vibrant and prevent them from looking washed out or from blending in with each other. The size of the projected image can get up to about 200 inches, which is a lot bigger than the size of any TV screen. This projector uses an upgraded cooling system that successfully prevents any overheating issues and reduces fan noise. This allows you to watch movies and play video games on it for extended periods of time without it overheating and without struggling to listen to audio over the fan noise. It is also compatible with all of the current video game consoles, DVD and blu-ray players, laptops, smartphones, tablets, and other devices, allowing you to use it any way you want. For $90, this is a steal. Some things to watch out for with this projector, though, are that the projected image can be difficult to focus, the power cable does not always stay plugged in all the way so it can slide out easily, and the instructions that come with it are not very helpful. If you are a gamer like I am, then you probably want to try playing video games like Twisted Metal or Mario Party on a screen bigger than what any TV can offer. Gaming projectors do just that, and the best of them all is the Zeacool Home Theater Video Projector. The Zeacool Home Theater Video Projector uses 2,200 lumens, making it brighter than your average projector. This helps you to see the screen better and to strain your eyes less while playing video games. The projector’s contrast ratio is 3,000:1. This means that the whites on the projected image are 3,000 times brighter than the blacks. This will make the colors on the screen pop a lot more and look more vivid. This makes colorful video games like Kingdom Hearts 3 look especially amazing. The size of the display can get up to 170 inches, allowing you to game on a screen larger than any one you most likely have played on before. This projector has a resolution of 1920x1080p, which is Full HD. This creates ideal on-screen visual quality. Most modern graphics are in HD, so gaming on a projector that is able to produce an HD image makes the most sense. The throw distance of the projector is between 5 feet and 16 feet. This makes it easy to mount the device in smaller rooms and dorms and still get a large, clear picture, and then also set it up in a larger room once you upgrade. It is a very small and lightweight piece of equipment, making it more portable and easy to bring to friends’ houses for multiplayer gaming fun. It also has multiple HDMI and USB ports, making it easier to switch between consoles without messing around with the cords. This is all rather impressive for just $70. There are definitely still some issues the Zeacool Home Theater Video Projector suffers from. The audio from the built-in speaker is pretty bad, and does not always work. It is heavily recommended to use an external speaker of some sort. The remote that comes with it is a little awkward and frustrating to use because it has to be very precisely aimed at the sensor in order to work. Projectors can get pretty expensive, especially if you are on a budget. Finding one for under $50 is tough. However, there is one projector under $50 that stands above the rest. It is the Vamvo Home Theater LED Movie Projector. The projector’s lamp uses 2,200 lumens and can last up to 30,000 hours. This means that the projected image will be more visible and you will not have to strain your eyes to see it, and that you can get a lot of use out of it without having to pay to replace the bulb. This projector supports a resolution of 1080p HD. This is a much better resolution than you will get with other projectors that are under the $50 mark. It is compatible with TV sticks, video game consoles, laptops, smartphones, tablets, DVD and Blu-ray players, and most other devices. It also has a fast heat dissipation system, preventing any sort of overheating issues. The best part is that it is only $48.99. As great as the Vamvo Home Theater LED Movie Projector is for a projector under $50, you are getting what you pay for. The contrast ratio is only 1,000:1, which is below the average contrast ratio for projectors, so the colors sometimes look a little washed out. The sound quality is also pretty bad, so you will definitely need to use an external speaker. Perhaps you are on a budget, but are still willing to spend a little more to get a better quality projector. For just $70, the DBPower Mini Video Projector is the best projector under $100. The DBPower Mini Video Projector has an impressive lamp life of 50,000 hours. It lasts so long you will probably never have to replace the bulb. The bulb uses 1,800 lumens, which is not super bright, but it is close to being as bright as more expensive projectors are. The contrast ratio of 2,000:1 is also almost as great as more expensive projectors are. The colors on the projected image are close to being as vibrant as what those more expensive projectors can produce. The screen size can get up to 176 inches. This is huge. There are projectors out there for more money that produce a smaller screen size than this. This also has a short throw distance of 1.5 meters to 5 meters. This allows you to set the projector up in smaller rooms like dorm rooms and still get that huge, clear picture. However, even though this is the best projector for under $100, you are still getting what you pay for. Because of the short throw distance, you cannot get a good picture if you want to set the projector up in the back of a large room or theater. The remote that comes with it only works from a few feet away from the device, defeating the sole purpose of having a remote. The only way to adjust the screen size to what you want it to be is by physically moving the whole projector, which can be tedious. Not only are projectors great to have for entertainment purposes, but they are also very handy when it comes to business presentations as well. They allow you to show information, such as text, images, charts, and more, to your boss and colleagues during meetings so that everyone understands the message you are trying to get across. There are plenty of projectors out there that are good for business presentations, but the Crosstour HD Portable Projector is the best one. The Crosstour HD Portable Projector is portable just like its name suggests. It only weighs 1.98 lbs and its dimensions are 7.8 x 6 x 2.7 inches. It is extremely easy to take to and from your office or school for those presentations. It supports a resolution of 1920x1080p, which is Full HD. This will allow you to have the best looking images and videos possible in your presentations, helping communicate any information to your colleagues. The contrast ratio of the projector is 2,000:1. This helps colors on the screen look more vibrant and stand out from each other. This prevents colors that are similar like red and orange from blending in with each other or looking washed out. This is extra helpful to have different elements on graphs and charts stand out in your presentation to avoid confusion. The projector uses 2,000 lumens, which is bright enough to help everyone in the room see your presentations. The HDMI cable and AV cable are included with the projector, which allows you to easily connect it to whichever device you want for your presentation. This projector is only about $60, which is good since you do not need to be spending too much money for presenting. The Crosstour HD Portable Projector does have some problems, though. After the device has been powered on for a long period of time, it begins to freeze up. In order to fix this, you have to restart it, which can be time consuming when you just want to get through your presentation. The fan noise can be pretty loud at times, so you might have to speak loudly over it during some presentations. 4K has been making a lot of strides in recent years. HD may be the current standard for visual quality, but 4K is on its way to take over that title since it is a higher resolution than HD. There are now a lot of projectors out there that are able to produce 4K images, but most are extremely expensive. After doing a lot of searching, you may find a few cheap 4K projectors, but the JMGO N7 4K Projector is the best one. The JMGO N7 4K Projector uses 8,000 lumens, which is extraordinarily bright. The average amount of lumens a projector uses is around 2,500, so this one is brighter than most. The brighter the projected image, the better you can see the screen and the less you have to strain your eyes to see it. The size of the projected image can get up to 300 inches. This is a bigger viewing size than most other projectors. A lot of other projectors that do produce an image this big are usually more expensive. This allows you to enjoy those 4K visuals on a truly massive screen. With a contrast ratio of 10,000:1, the colors are a lot more vibrant than what you will see with other projectors. This projector also features two 5 watt stereo loudspeakers for a clear audio, eliminating the need for any external speakers. Most projectors that produce 4K images are well over $1,000, but this one only costs about $770. This projector does have some minor issues. The auto focus feature can be problematic, adjusting in the middle of a movie or video game. This can be extremely distracting. It also struggles to run a lot of apps that other projectors are able to. This is something that probably should not be an issue while we are living in the age of apps. 3D has become one of the most fun ways to enjoy movies, TV shows, and video games. Because of the growing popularity and accessibility of 3D, there are of course a lot of options on the market for 3D projectors. However, they can be expensive. The best cheap 3D projector is the LATOW Mini Portable 3D Projector. The LATOW Mini Portable 3D Projector can produce a 170 inch display size. A screen size this large is ideal for viewing the 1080p HD visuals, making for an extremely enjoyable movie or video game experience. With a contrast ratio of 2,000:1, the colors appear vivid and really stand out, which is incredible to see in 3D. The projector’s lamp uses 2,200 lumens and can last up to 50,000 hours. This allows you to see the projected image better regardless of the lighting of the room it is in, and you will most likely never need to replace the bulb. The projector is compatible with modern video game consoles, DVD and blu-ray players, tablets, laptops, smartphones, TV sticks, and USB drives, which allows you to enjoy any form of visual media in 3D and on a giant screen. All of this is only about $80, which is impressive. The LATOW Mini Portable 3D Projector does suffer from a couple of issues. When it is in 3D, small words and numbers can be blurry and hard to see. The built-in speaker is on the softer side. If you want louder audio, you will have to also purchase an external speaker. How much does a decent projector cost? There are a lot of projectors out there that cost up to thousands of dollars. However, you do not need to spend that much on one. You probably want to spend more than $50 on a projector to make sure you are getting a decent product. You can easily obtain a good quality projector for a couple hundred dollars. The resolution of screen indicates how many pixels are seen at one time. The higher the resolution, the better the picture will look. There are many different resolutions, including 1280x720p, 1920x1080p (which is HD), and 3840x2160p (which is 4K). HD is what most devices use nowadays because of how great it looks, but 4K is on its way to taking over as the new standard. Brightness of a projector is measured in lumens. The more lumens a projector uses, the brighter it is. A brighter projector helps you to see the projected image better and prevents you from straining your eyes as much. A Home Theater projector is ideal for darkened rooms, similar to the experience you can get at a movie theater, but in your own home. A Home Entertainment projector is better for those who want their entertainment, like movies, TV shows, and video games, on a big screen, but just as a replacement for their TV instead of having the darkened room movie theater feel. Do you need HDMI? How to connect your projector? HDMI is how one would typically connect multiple devices together to produce HD visuals. For example, you can connect your PlayStation 4 to a projector by using an HDMI cable. However, using an HDMI cable is not the only way you can connect devices together anymore. Now, you are able to connect some devices wirelessly by using Bluetooth connections. Bluetooth is the form of technology used to connect multiple devices together wirelessly and within a short range. Is 1,200 lumens good for a projector? 1,200 lumens is okay for a projector to use. The average amount of lumens a projector can have is between 1,000 and 2,500 lumens, so 1,200 lumens is good but on the lower side of what is considered average. There are some projectors out there that have a much higher amount of lumens. Even though 1,200 is decent enough to see the projected image, you can only really see it clearly if you are in a completely darkened room. The contrast ratio of a projector tells you how much brighter the whites on the screen are than the blacks. A contrast ratio of 2,000:1 means that the whites on the projected image are 2,000 times brighter than the blacks. The higher the contrast ratio, the more vibrant colors appear and the more they stand out from each other. Higher contrast ratios overall give you an image that is more crisp and clear. The average contrast ratio for projectors is around 3,000:1, so aim for that or higher. There are plenty of options out there for projectors with contrast ratios that are much higher than that 3,000:1. Why is throw distance important? The throw distance of a projector is important because it tells you how far away from the wall or screen the projector is able to be set up in order to get a clear image. If a projector has a throw distance between 4 feet and 20 feet, then you would be able to set it up anywhere between 4 to 20 feet away from the wall or screen and still get a crisp-looking picture. If you set the projector up either further or closer than what the throw distance dictates, then you will get a blurry image. So yes, throw distance is important. Before looking at a projector’s throw distance, look at where you would want to be mounting the projector to see what throw distance would be a right fit for your specific needs. Can I rely on the built-in speakers of a projector? Projectors are not typically built to produce fantastic audio. 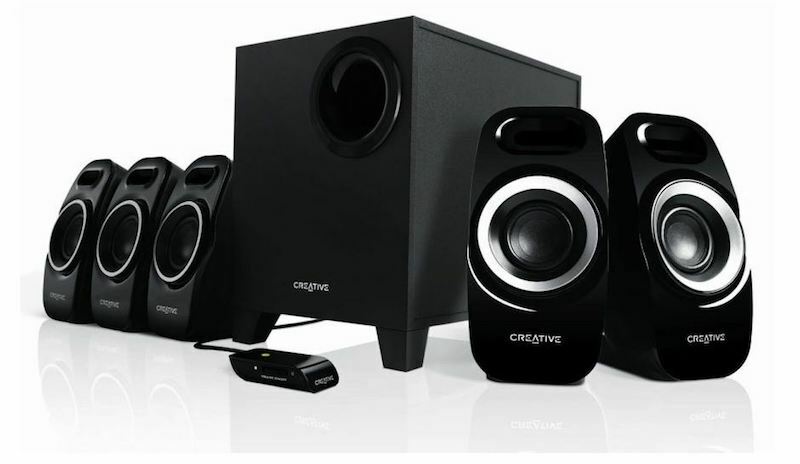 Although you may come across some projectors with especially great audio quality, you are better off using external speakers. Like with TVs, using surround sound or sound bars enhances he audio a lot more than what it sounds like from the device itself. Is a zoom lens important to have on a projector? A zoom lens on a projector is used to adjust the size of the projected image. Not all projectors have one. For those that do not, you have to physically move the projector itself in order to change the size of the image, which can get cumbersome. A zoom lens is important if you want to be able to adjust the viewing size without moving the projector, but it is not mandatory to have and does not affect the viewing experience once you have settled on the perfect entertainment set up for you. What is keystone correction and is it important to have? Keystone correction is a function that allows projectors that are not placed completely perpendicular to the wall or screen you want to project onto to skew the projected image so that it is still rectangular. Typically, you need to have the projector perfectly straight pointed to the screen to get the rectangular image. Keystone correction allows you to have the projector set up at an angle and just turn the lens so that it faces the screen. It is certainly beneficial to have, but not mandatory since you can usually just rotate the projector itself.